We began raising and conditioning food grade corn in the early 1980’s and shipping it to various snack food manufacturers. Fischer Food Grade was founded in 1982 and is a contractor and conditioner of high-quality white and yellow food grade corn. 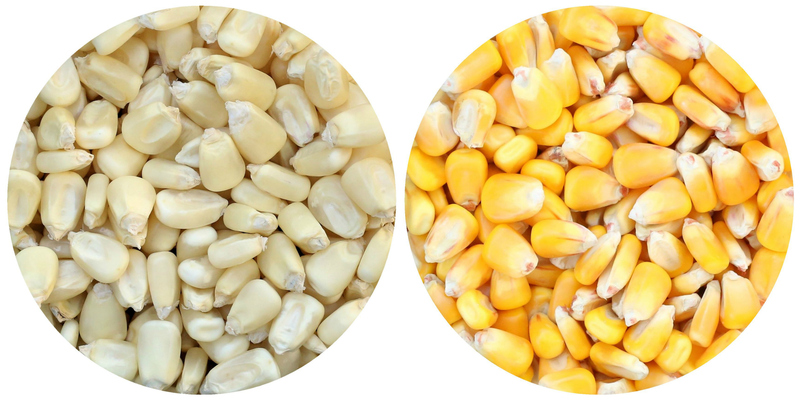 Food grade corn is bred with specific quality attributes tailored to food applications. Our facility specializes in identity preservation to maximize consistency which ensures the best product for human consumption. 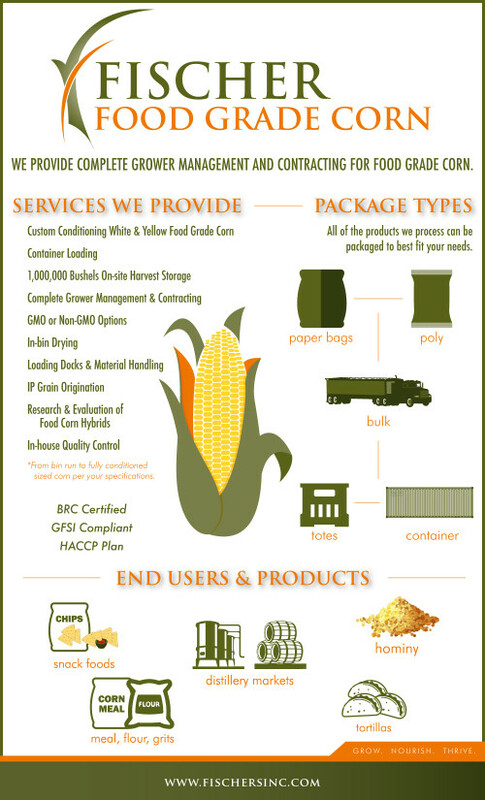 Fischer Food Grade provides corn to various end use markets including snack food, distillery markets, corn meal, grits, hominy, and tortillas. Being a producer and conditioner allows us to track our product from the field all the way to the factory. We possess the unique ability to grow and test food corn hybrids on our own farms. This depth of knowledge allows us to provide you with superior hybrids for your specific use. We are proud of our entire process and high standards which allow us to provide the highest-quality, safest product to our customers. Food safety has always been a key priority. Furthermore, our facility is BRC certified and GFSI compliant. We utilize a HACCP plan to help monitor critical control points in our facility and ensure best practices. Our time honored traditions combined with our state-of-the-art facility enable us to deliver the highest quality, safest food corn in the industry.